App solution for ebook. If you are an individual business, producing eBooks or collecting free ebooks for your users then this is the solution for you. 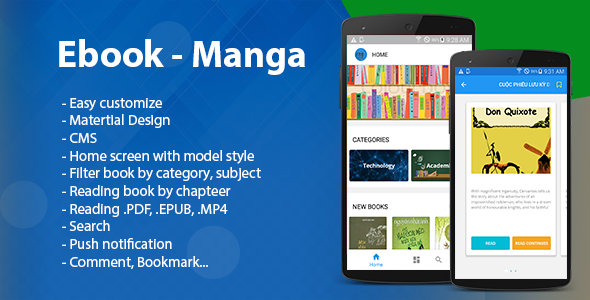 The application will display books by category, by category, by criteria so that users can easily view books and search their books. Each book is managed by chapters and not only reads the popular pdf format, but the app can also be opened in epub, video and mp3 formats. It is easy to extend and bring many conveniences to users.